Everyone’s into buying gold. People think that the best investment they can do is buying gold bars. They are partially right, gold has a high price and rarely have big oscillations in price. It takes a lot of time for gold to reach a big difference in selling and buying price. Silver is the second metal that was used in history as a payment method. Silver was always valuable and today it is no different. However, the price of silver is not as big as the price of gold. That’s why on the market silver is considered the less desired precious metal. Still, a lot of people trade with silver, and here’s why. At the moment, the price of gold compared to the price of silver is incredibly higher. It wasn’t like this centuries ago when kings and landlords used silver coins as a trading method. Today, gold stands around $1310 for an ounce, while silver is on $15. It’s a huge difference, right? This, however, can be good for those that don’t like spending enormous amounts of money for precious metals. In the last 100 years, gold and silver traveled almost the same path when it comes to raising and falling in price. Silver’s price is a little more likely to have bigger fluctuations than the gold, but nothing significant. So, if you want to invest some money in precious metals but you don’t like spending thousands of dollars, you can buy some silver bars. Knowing that the price of silver is not about to drop significantly, you can feel safe about your investment. Actually, chances are big that the price of silver will only go up because of more factors, but that’s another story. We literally just said that price fluctuations in silver are higher than the one of gold, right? Yes, we did, but if you compare this in real money, you’ll see that eventual price fluctuations in gold can make you earn or lose extreme sums. In silver, this is not possible unless you buy a ton of it. Private entities that trade with silver do this because of its low price. So, if you buy – let’s say 10 pounds of silver bars, you’ll pay around $4.000. If the price of the silver drops for 2.5% you’ll lose around $100. But, if you buy 10 pounds of gold, that around $200.000. In this case, you’ll lose $5.000. It’s not the same, right? Some people think that the future lies in silver. 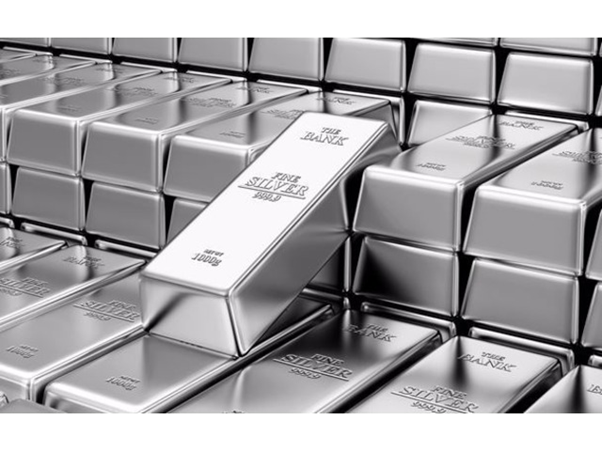 Seeing that governments of the world practically gave up on silver, they think that buying large quantities of silver bars might give them profit one day. The facts say that most governments of the world have no more silver reserves in their national vaults. Only the USA, Mexico, and India still have national reserves. The idea is that private entities with a higher amount of gold might be able to dictate the price in an eventual need of this precious metal. This is a very important issue for all interested in buying or selling silver. As of 2015, the mines all around the world produce less silver. It seems like the supplies are depleting and less silver will be produced in the future. See how much silver there is in the world mines here. On the other hand, silver is being used in the industry because it’s fairly cheap yet, the features it has are very useful. Silver is one of the best electrical conducts, its thermal features are amazing and it is highly reflective making it useful in many industries. Practically, silver is all around us, we just don’t see it. Silver is a much-needed metal in our everyday life. Silver is way more affordable than gold, and this is the main reason why people choose buying silver instead of gold or other precious materials. Also, silver is being used widely in everyday life, unlike other precious metals that are practically just for show or are used much rarely for everyday needs. Getting into the business of selling and buying silver is a smart investment move. Previous: Previous post: Can translations help your sales?